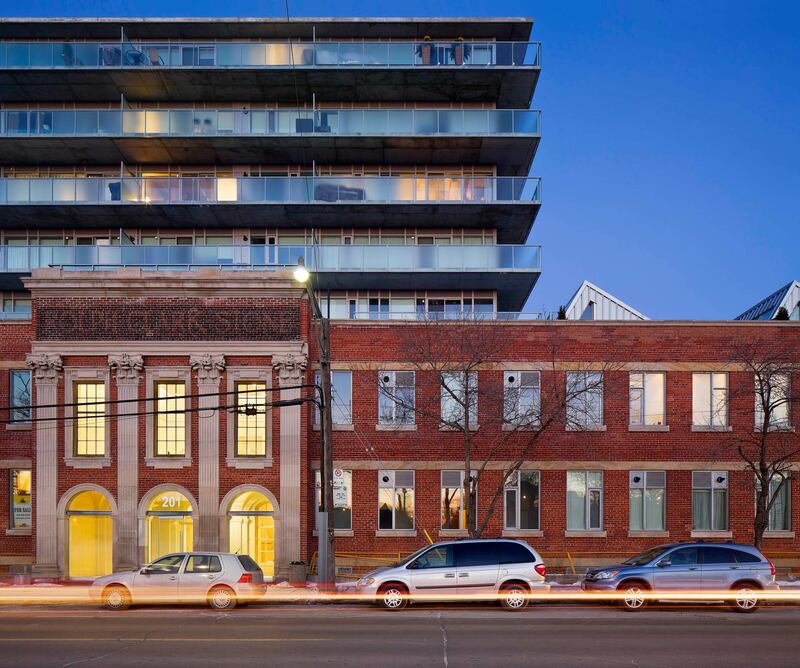 The existing mid-rise tower, of which many of the 232 rent-geared-to-income units were already condemned and unoccupied, was demolished in favour of new stacked urban townhomes and a low-rise apartment building. 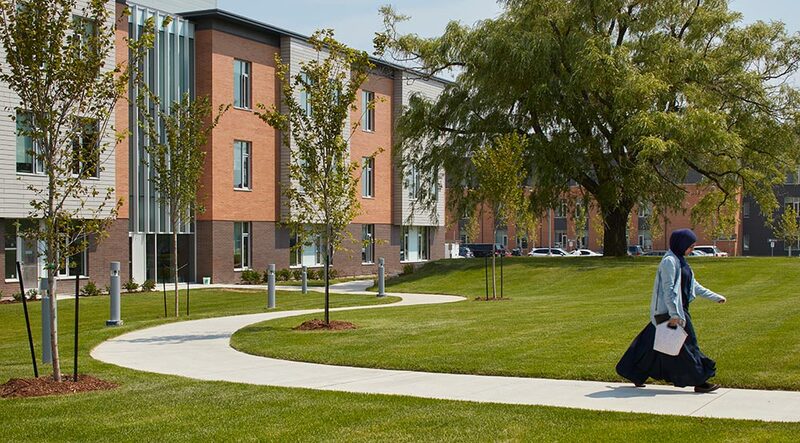 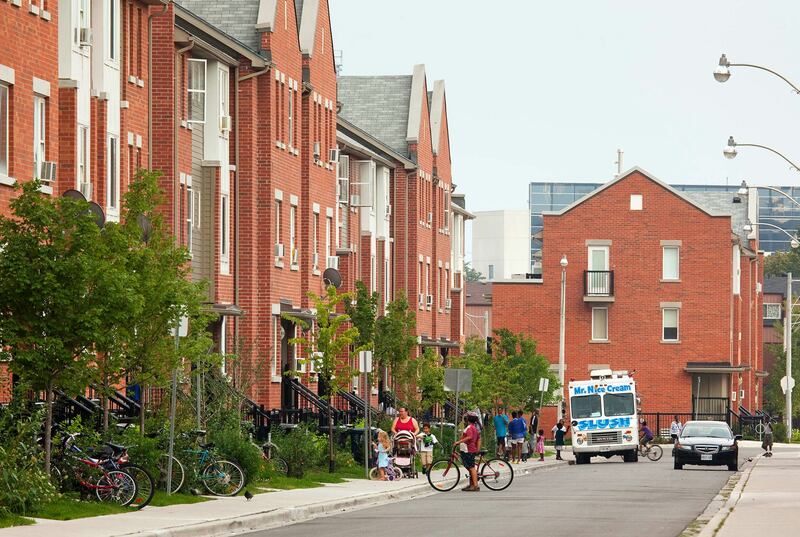 These were complemented by 187 market condominium townhouse units, a new public square and two-acres neighbourhood park complete with basketball courts, playground and splash pad. 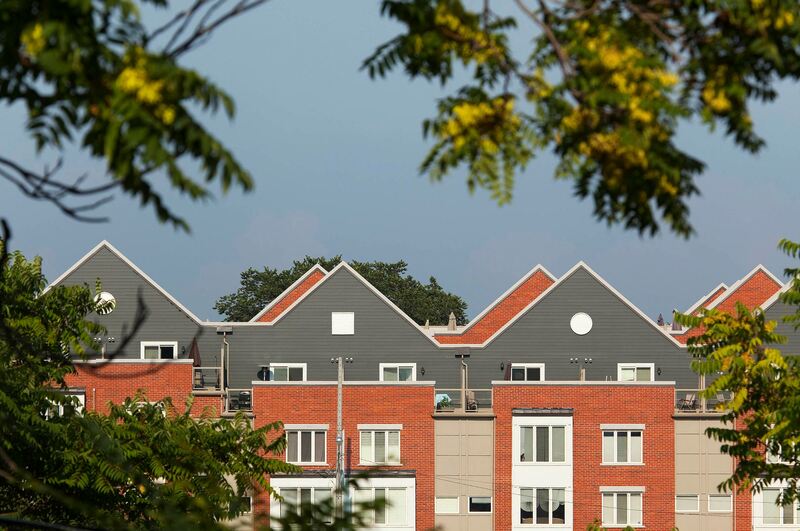 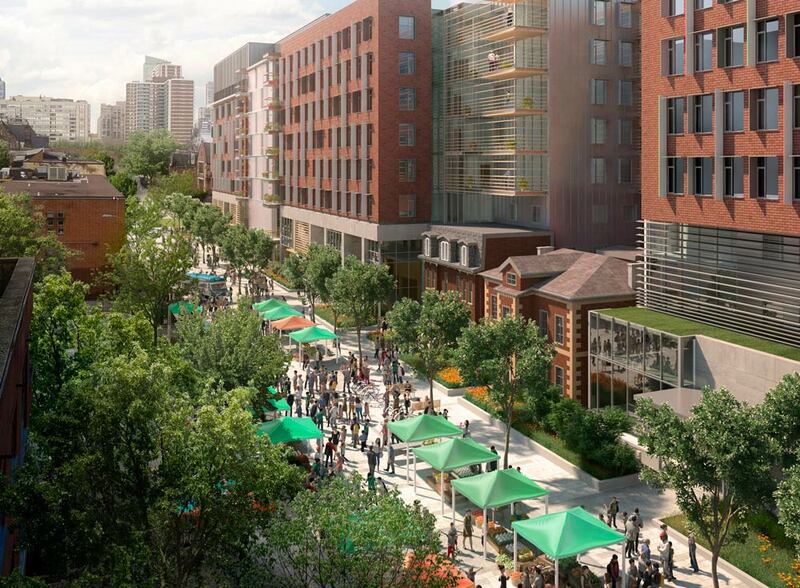 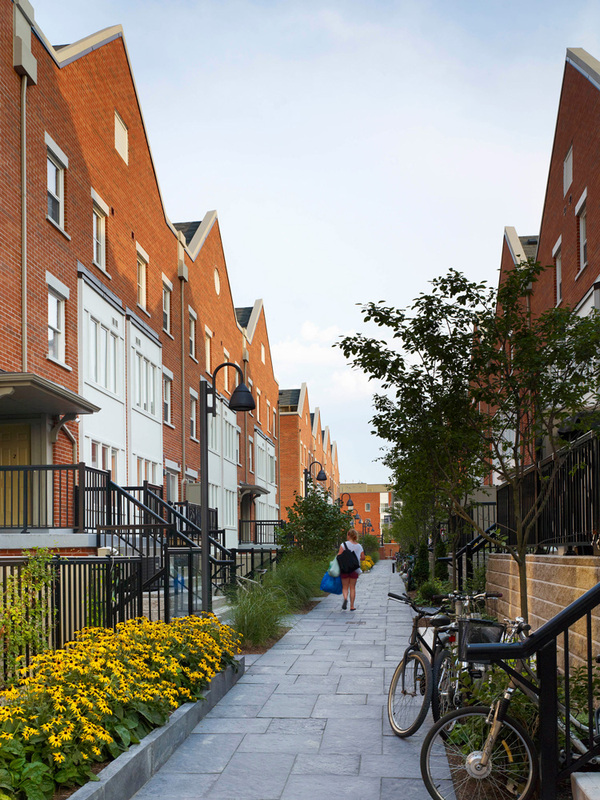 The park and square, coupled with private terraces, porches and increased green space between units, encourage residents to gather, engage and animate the public realm. 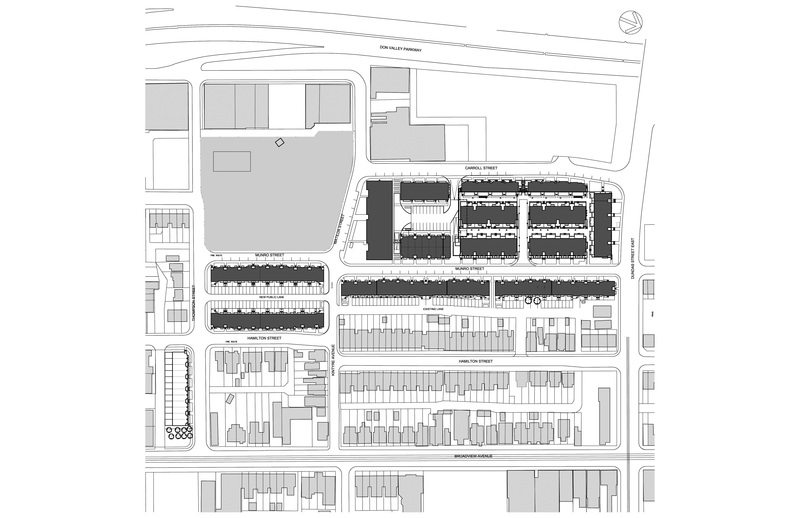 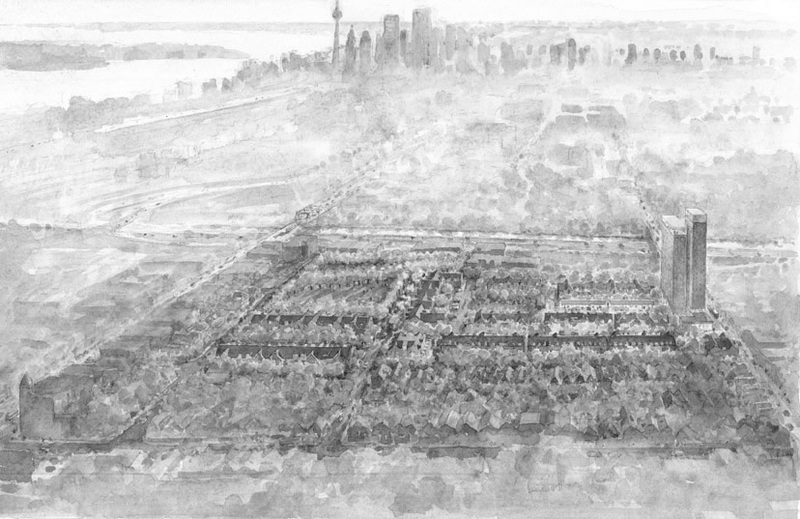 The scale and character of the new development, including the rhythm of the peaked roofs, variance in building facades, selection of materials, and different bay configurations, were all carefully contrived to subvert the monolithic appearance of the original complex and reflect, instead, the qualities of the surrounding neighbourhood. 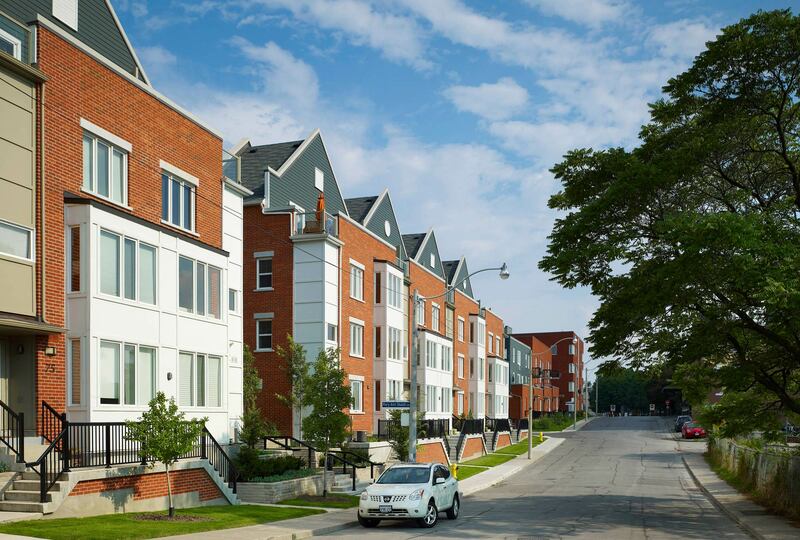 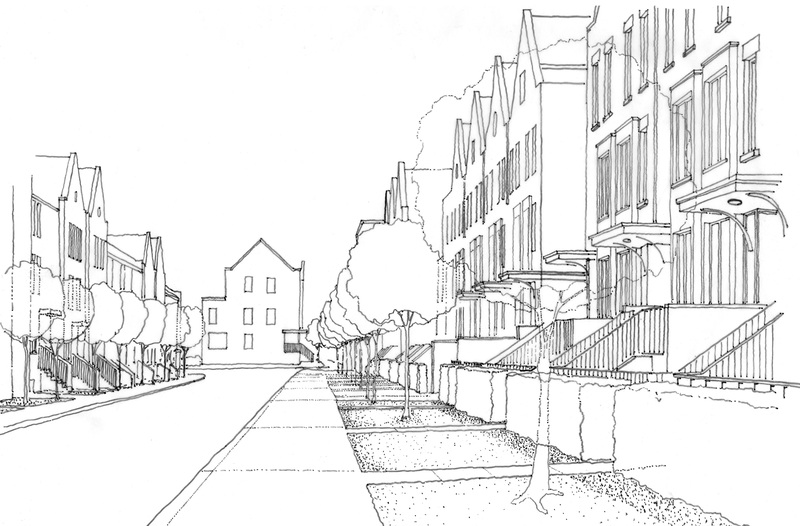 New landscape boulevards, courtyards, pedestrian walkways and private laneways along with the extension of Munroe Street create safer connections between residences and the main thoroughfare and improve access to public transit.